Unforgettable. Memorialize a birthday, with this February birthstone bracelet, which marks your day with a gemstone corresponding to that month’s birthstone. Ideal for gift giving. Featuring super-slim strands of Italian chain, this polished February birthstone_bracelet will enchant the winsome and glitterati alike! 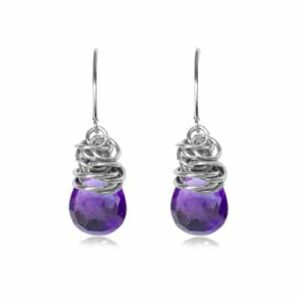 A shimmering amethyst birthstone hangs next to the clasp for a bit of color and contrast. 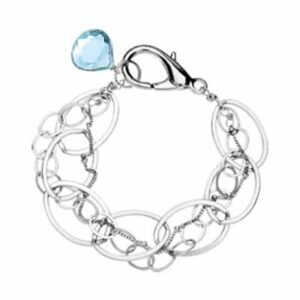 Choose your metal to create your own custom February birthstone bracelet.